While most red nuggets merged with other galaxies over billions of years, a small number managed to slip through the long history of the cosmos untouched. These unscathed red nuggets represent a golden opportunity to study how the galaxies, and the supermassive black hole at their centres, act over billions of years of isolation. The temperature of the hot gas is higher in the center of the MRK 1216 galaxy compared to its surroundings, showing the effects of recent heating by the black hole. 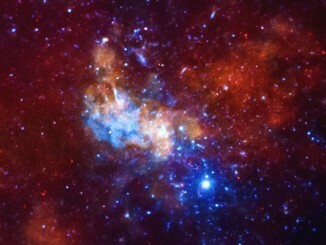 Also, radio emission is observed from the center of the galaxy, a signature of jets from black holes. 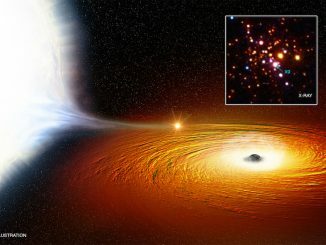 Finally, the X-ray emission from the vicinity of the black hole is about a hundred million times lower than a theoretical limit on how fast a black hole can grow — called the “Eddington limit” — where the outward pressure of radiation is balanced by the inward pull of gravity. 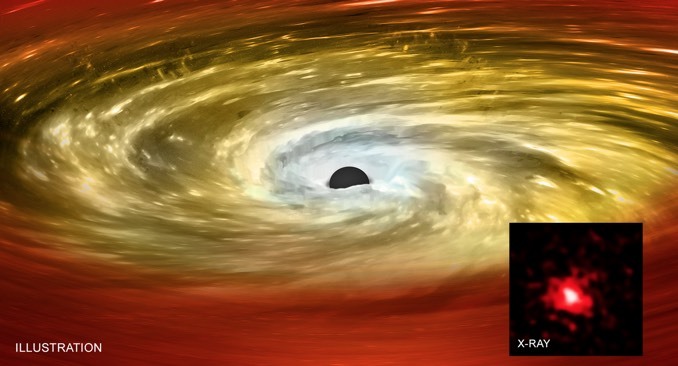 This low level of X-ray emission is typical for black holes producing jets. All these factors provide strong evidence that activity generated by the central supermassive black holes in these red nugget galaxies is suppressing the formation of new stars. 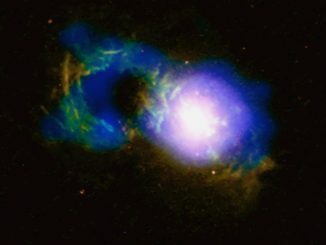 A voracious quasar at the heart of a galaxy 1.1 billion light years away is blowing huge bubbles in space, giving the host galaxy the shape of a teacup.